Risk management consultancy and training made to suit your business needs. All projects or business ventures are subject to elements of uncertainty or risks that may be either opportunities or threats. To succeed in a modern business environment your company, via your employees, needs the skills to become both risk aware and proactive in managing risks to ensure you achieve your objectives. KB Risk Consulting Limited provides a balanced approach to Risk Management with practical solutions to help you reach your goals with the minimum of fuss. 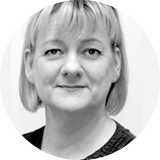 Kate is an international expert risk management consultant offering specialist risk management consultancy and training. She has particular expertise in project and corporate risk management, training and development, where she brings a warm and friendly style that makes it easy for clients to engage and learn from her extensive experience. She began her career in construction, which then progressed into the oil and gas, nuclear and pharmachem industries. Kate has since worked freelance in the public, private and third sector across a variety of countries, working again in these industries, but also in education, social housing, social care, utilities, civil engineering, energy, mining, infrastructure and automotive. Following consultation, a detailed proposal and quotation will be developed and costed, so that there is full understanding and agreement on what is expected with the service to be provided.